Turning a sample into a suspension—the essence of homogenizing—occurs in a wide range of laboratory applications. In life science and clinical research, scientists often homogenize tissue samples for various analytical studies. The most important component of homogenizing is your generator probe—the item that actually goes into your sample. Your sample is getting hot and the generator probe or motor unit is hot to the touch. There is black residue in your sample. You aren’t getting the same homogenizing results you used to. Some of the inner components, such as PTFE bearings, look worn or overly discolored. Your generator probe is seizing up. If you have never taken apart your generator probe for a good cleaning, then chances are that some maintenance is required. Click here to see Top 6 Questions That You Should Ask When Buying a Homogenizer. Distek’s sensIR 3200 uses proven bathless heating to offer a disintegrator without the hassle and inconveniences associated with conventional water bath-based instruments. By eliminating the water bath and utilizing a sleek modular unit, Distek’s sensIR 3200 offers two, four or six disintegration test stations in the smallest footprint of any comparably equipped model. Visit us at AAPS #2517 for a Live Demonstration! Read more about the Distek sensIR 3200 on the Distek website. 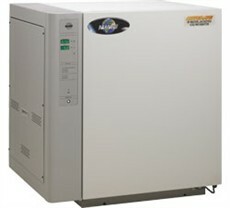 NuAire water jacket Incubators deliver a higher level of performance and dependability for optimum growth conditions. In-vitro models of in-vivo environments ensure Nuaire water jacket incubators have the most advanced features available. Choose the most dependable water jacket incubators from NuAire for your laboratory today. I need the preventative maintenance procedure for Pharma Test PTWS 300/600/1200 dissolution apparatus. Advise this member. Looking for a how-to on changing the head (the sample holder clamp). It is not in the manual I have from 2000 for the FP120. Advise this member. How do I put the water into the water jacket as it is showing low water indicator? Advise this member. Distek, Inc., an industry leader in pharmaceutical laboratory testing instruments, accessories and validation services, is pleased to announce ETL certification of the sensIR 3200 “Bathless” Disintegrator for both the United States and Canada. In conjunction with the ETL mark, the instrument will also begin shipping with a CE mark. These regulations ensure that the product will meet health, safety, and environmental requirements. Read more. The BeadBlaster 24 can grind, lyse or homogenize up to 24 samples simultaneously. Tubes in the stainless steel tube carrier are subjected to an intense 3D motion, causing high energy impacts between the samples and microbeads to release their cellular contents. After homogenization, samples are centrifuged and the supernatant collected for additional processing. Read more. Homogenization seeks to create samples in which analytes of interest are dispersed uniformly throughout. Numerous technologies can achieve this, including pressure, mechanical (rotorstator or blade-type), and bead-beating. “Depending on the application, one approach may be more appropriate than others,” notes Holly Yacko Archibald, sales director at PRO Scientific (Oxford, CT). PRO Scientific specializes in blade and rotor-stator models that comprise 95 percent of the homogenizers they sell. Read more. PRO Scientific is a global leader in the manufacturing of homogenizers and mixing equipment, our high-shear homogenizers can process micro volumes up to multi-liters. Our innovative stainless steel Multi-Gen probes are the perfect solution for multi-sample processing. Simplify your sample prep with the DPS-20, automated dual processing mechanical / ultrasonic homogenizing system or our new Multi-Prep Rapid Multi-Sample Homogenizer. Programmable benchtop homogenizers are also available. PRO's Lab Plus Series line features Vortex Mixers, Nutating Mixers, programmable Orbital Shakers, Rockers and Hotplate Stirrers. Hettich centrifuges also available. Visit the PRO Scientific website to see their full product line. At this time I'm a new user with the Fiber Optic Dissolution system. I did a trial run and compare the results perviously tested using the HPLC. When I looked a the results I do have a 10% more of the HPLC %Dissolved. Is there % comparison? Advise this member. My Galaxy 170 R produce starts alarm in the morning but it stops after opening and closing the door. Please provide me its possible causes and its solution. Advise this member. Can you let me know me know if the Sartorius Mikro-Dismembrator U has adaptors to hold more than 4 microtubes at a time eg to hold 12 tubes? Advise this member.